A friend recently asked if he should list his golf clubs on eBay given perception that golf was going out of business. After all, recent reports about golf’s challenges have overshadowed the good news of an industry in transition following the biggest recession of our lives. To wit, retailer Golfsmith is exploring a restructure or sale, Nike announced it will no longer sell golf equipment and some top male players declined Olympic invites. Indeed it’s easy for some to write off any industry wrestling with generational change, rapid technology advancements and stagnant middle-class household incomes. However, golf is adapting well to changes in how we spend time and dollars. Golf is a discretionary expenditure, so when wages largely stay flat and Millennials enter the workforce averaging $30,000 in college debt, it has an impact. Millennials are also delaying marriage, having children and buying houses for the same reasons. Golf is responding. The average to play 18 holes is $37 post-recession. Most big-city media don’t believe that number, but there is life outside the metropolis. Companies like Billy Casper Golf have developed real-time pricing algorithms that airlines and hotels use to drive revenues as golf smartly embraces online tee times, especially via mobile. 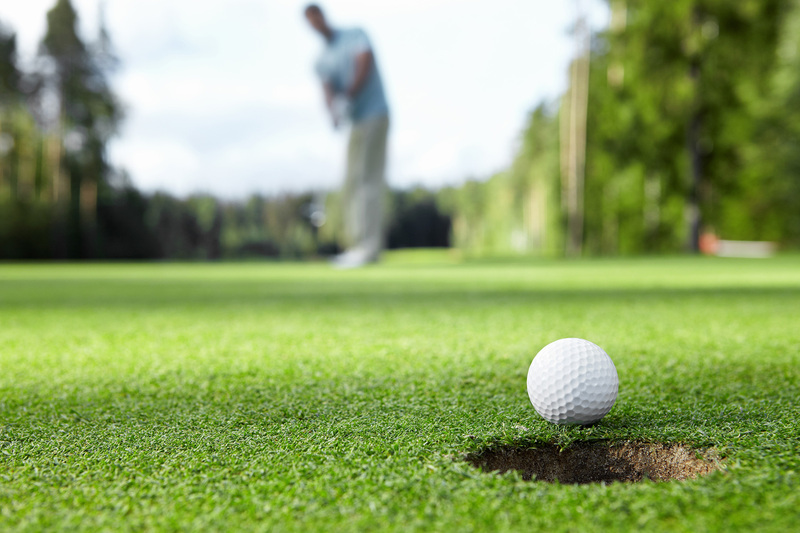 Comcast’s GolfNow service is the biggest online reservations destination in the marketplace. Furthermore, we are realizing significant growth on two ends of the generational spectrum: Boomers are playing in record numbers and a half million kids took up golf the past three years. Boomers have time and money, and kids are attracted by exciting, social media-savvy stars like Rickie Fowler, Lexi Thompson and Jordan Spieth. Do we still have too many golf courses to meet the demand for golf? Yes. Courses were overbuilt as real estate developers saw they could get $20,000 more for dirt with a fairway view. Moreover, hotel operators saw average length of stay grow by more than one night when golf is an amenity. One of four courses today opened from 1990-2005, but they weren’t built to sell golf by stretching 7,000 yards with high slope indexes. This dispersed 500 million rounds among 33% more courses. That’s a retail challenge. Another retail challenge faces shopping malls and big box stores. Amazon is disrupting all traditional retail with Edwin Watts & Sports Authority are examples. Golfsmith is another company re-structuring itself for the future. As for Nike Golf – c’mon, what took it so long? Nike entered the equipment market in 2000 and didn’t crack the category’s top five. Tiger and Rory kept golf going, but Nike’s core business is footwear and apparel. It also exited the hockey equipment market with Bauer because it didn’t fit its core. Smart companies in this economy are reverting to what they do best. GE did years ago with businesses it couldn’t climb to No. 1 or No. 2. Lastly (sigh), there are six million Millennials playing the game and 60% like its rules, traditions and etiquette their parents follow. And Centennials (born after 1997) are opining they like golf’s rules, fair challenges, outdoor settings with friends and networking with successful people who assist with school admissions and jobs. The largest worldwide television audience in sports history is watching Olympics golf regardless of who plays. Medalists are returning home as national heroes and the 200-plus golf-playing nations will begin funding golf federations to develop future Olympians. This will put golf on equal footing with gymnastics, soccer and tennis. So, don’t sell those clubs yet. But, if you do, the PGA Trade-In Network (www.valueguide.pga.com) provides credit to buy clubs for your children or grandchildren. And lastly, the PGA of America turned 100 earlier this year. Read more on why this writer believes its the most influential golf organization in the United States.